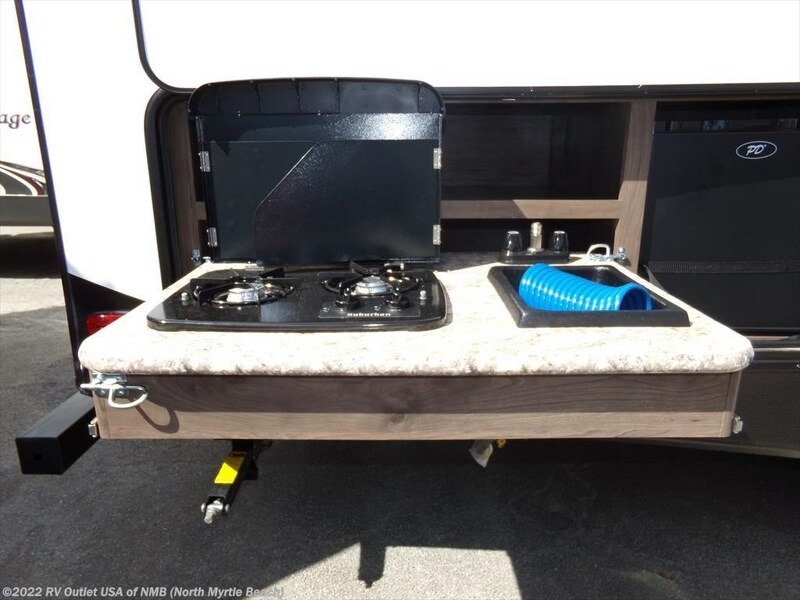 ULTRA LITE ** WEIGHS 6,550 LBS ** 1/2 TON TOWABLE! 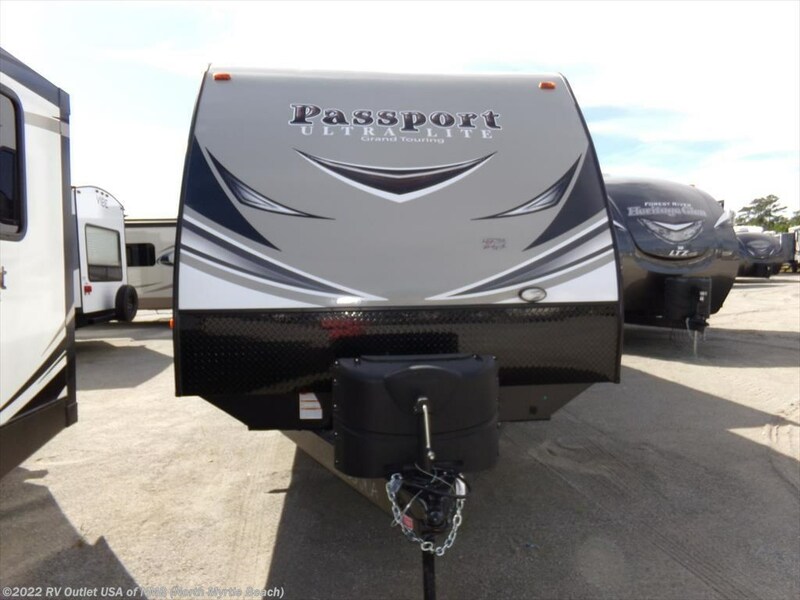 Here's one of Passports all time best selling bunk house floor plans, the new 2018 3350BH. 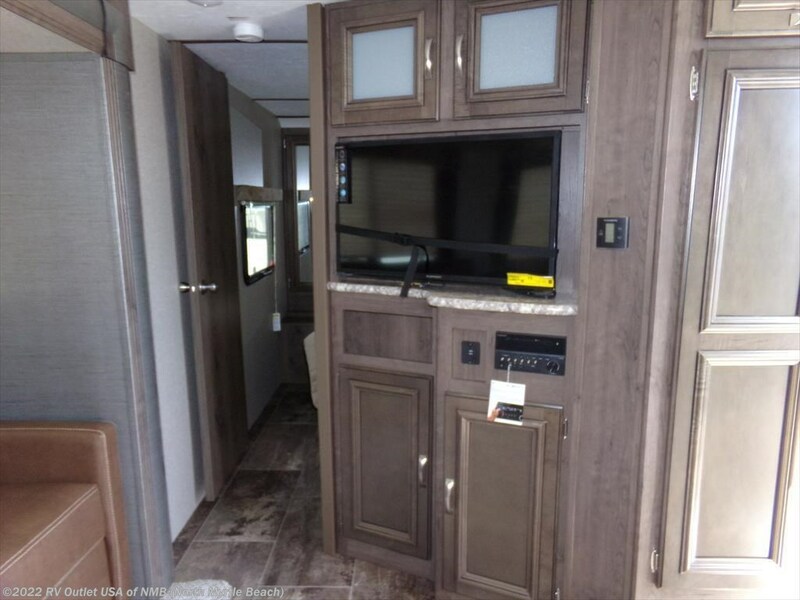 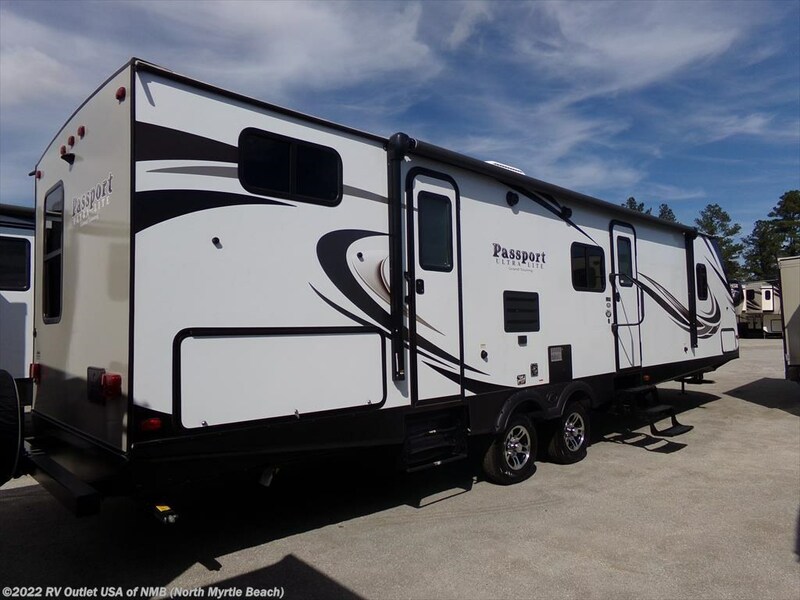 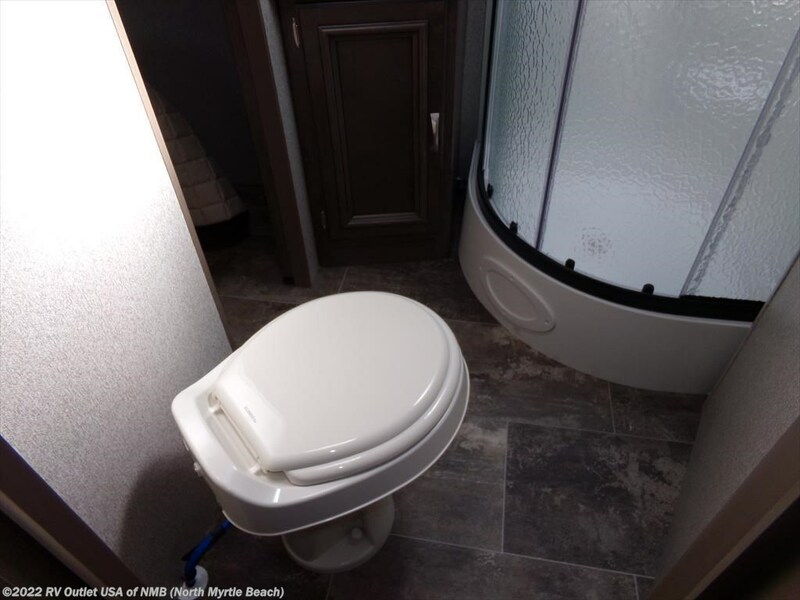 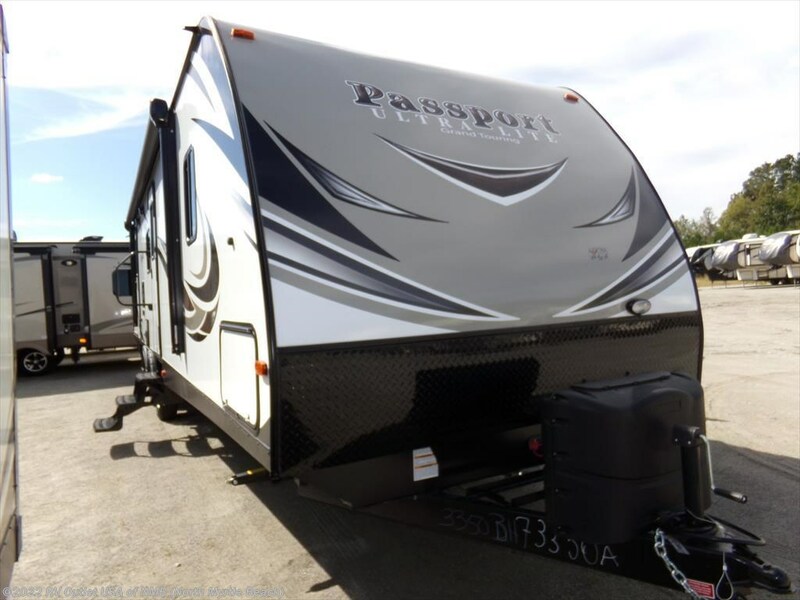 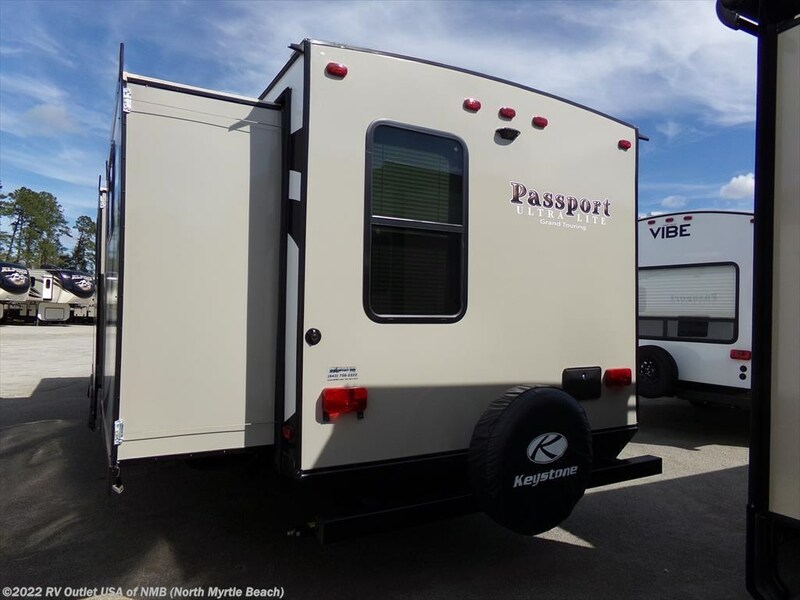 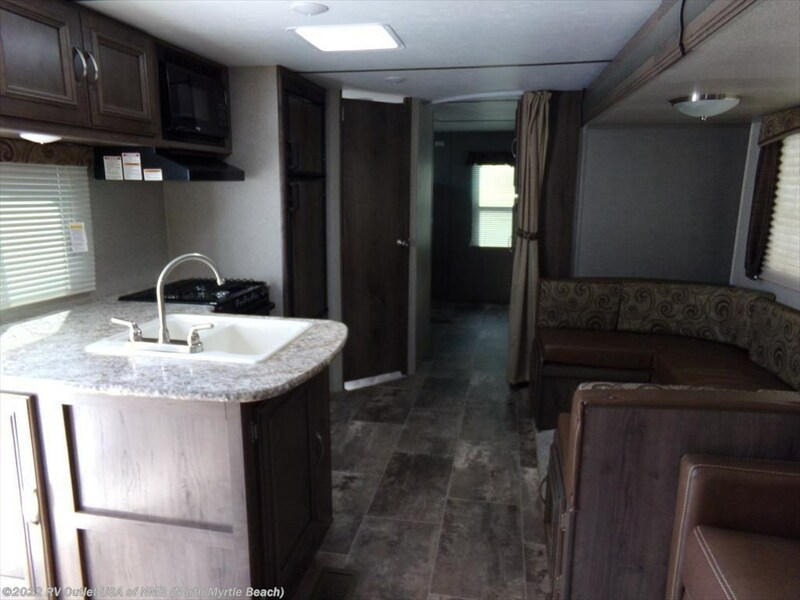 First off, all Passports are true ultra Lite travel trailers and this one weighs only 6,550lbs plus this one is a 2018 model which really look good! 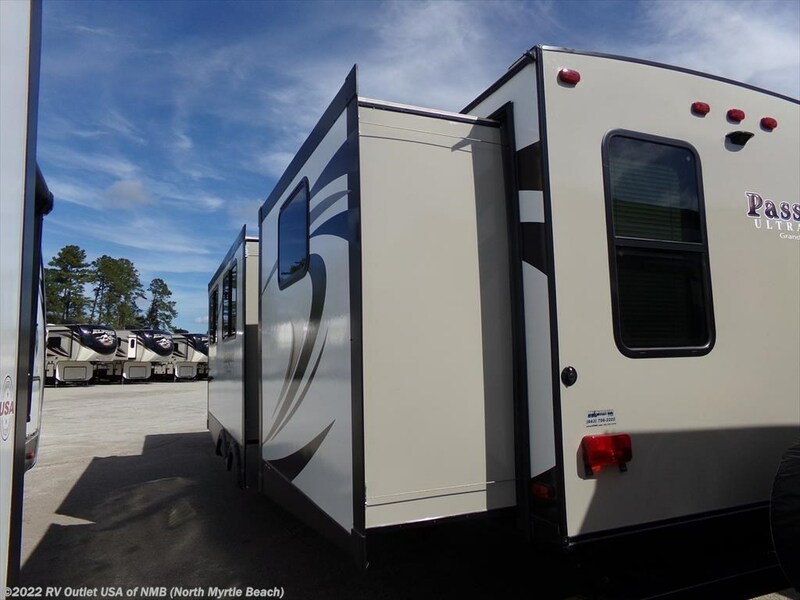 This 3350BH is a slide bunk house travel trailer with a really cool outside kitchen. 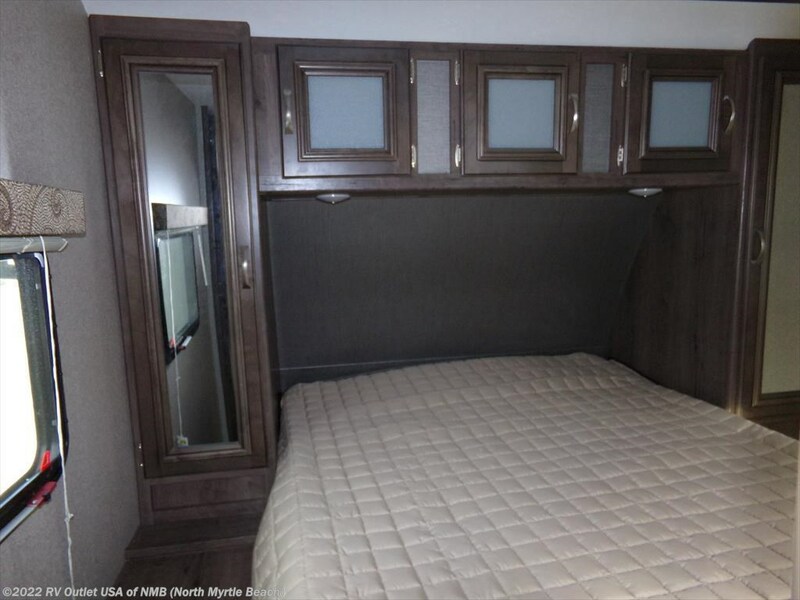 This floor plan has a walk around queen bed in the front with underneath storage. 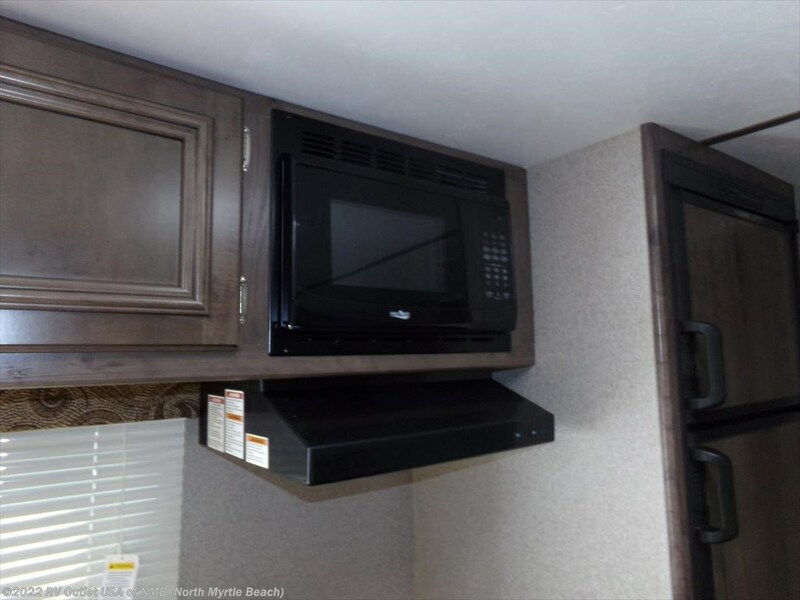 Located in living area is the entertainment center which has a HD flat panel TV and an AM/FM/CD/DVD player! 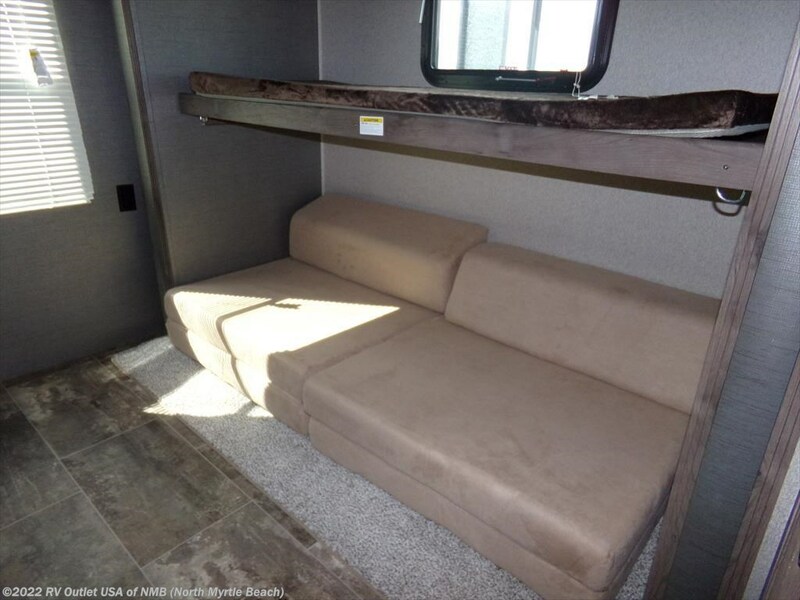 It has a super slide with a fold down jack knife sofa and a large U-shaped dinette table. 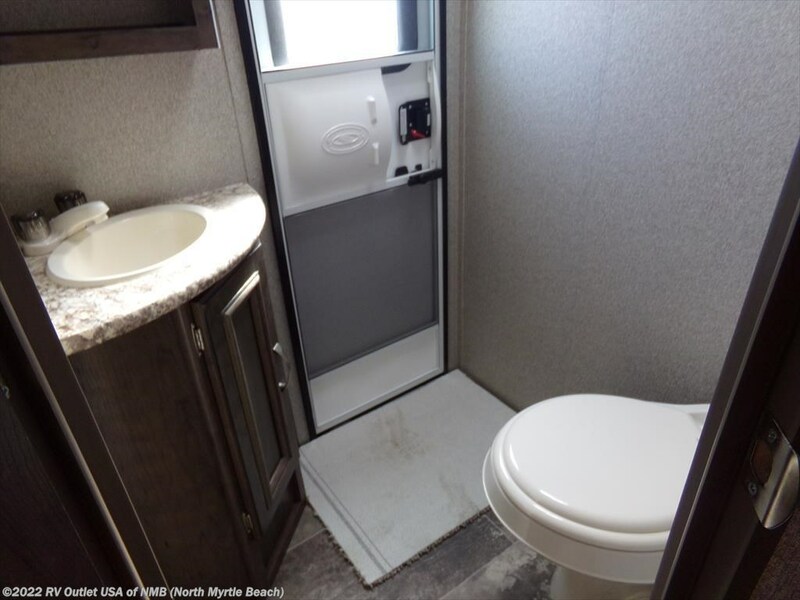 It also has a side bathroom with a foot flush toilet and a tub/shower combo. 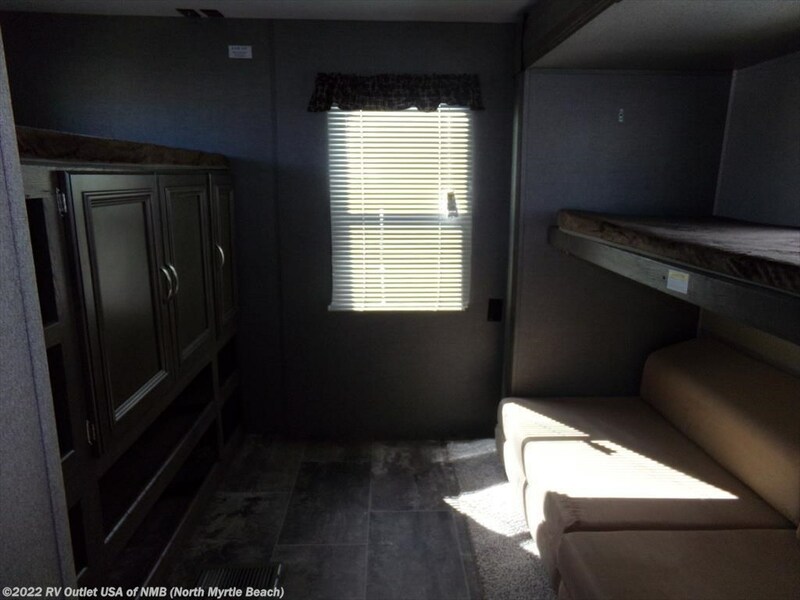 In the rear is the kids bunk room which has a slide out and (4) bunk beds! 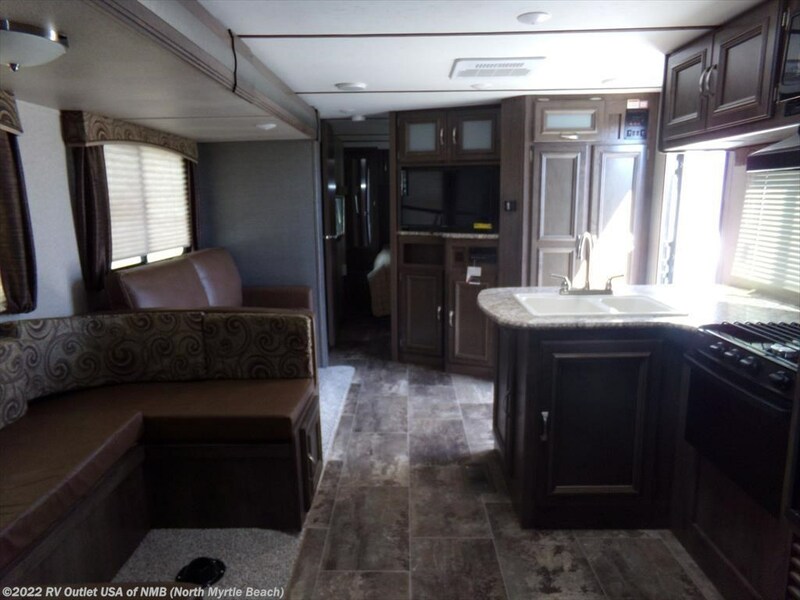 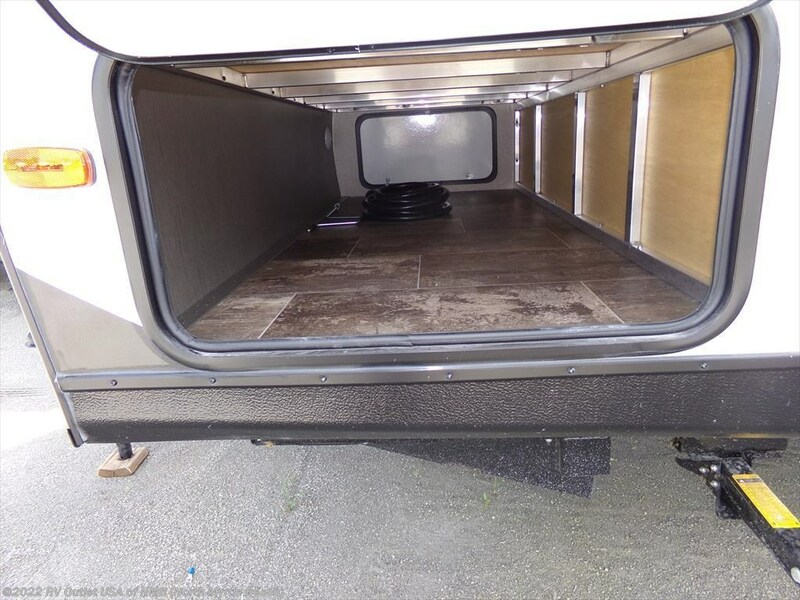 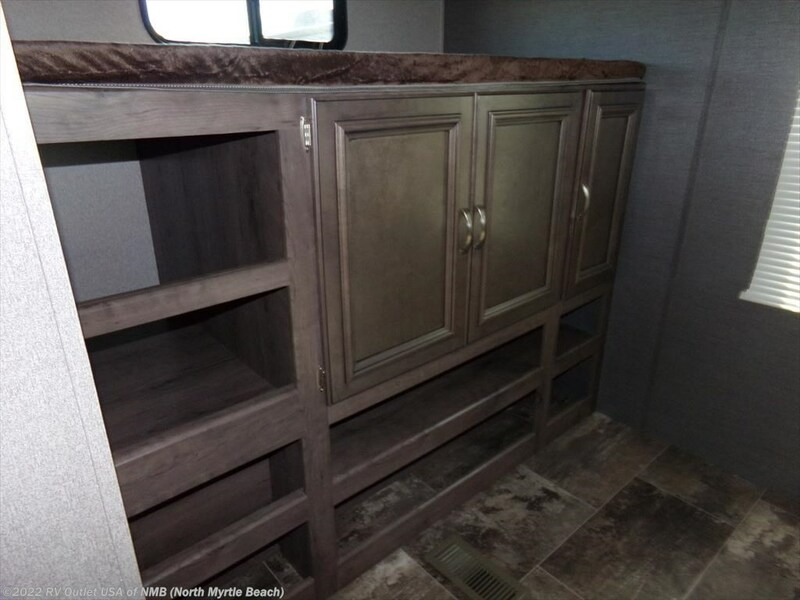 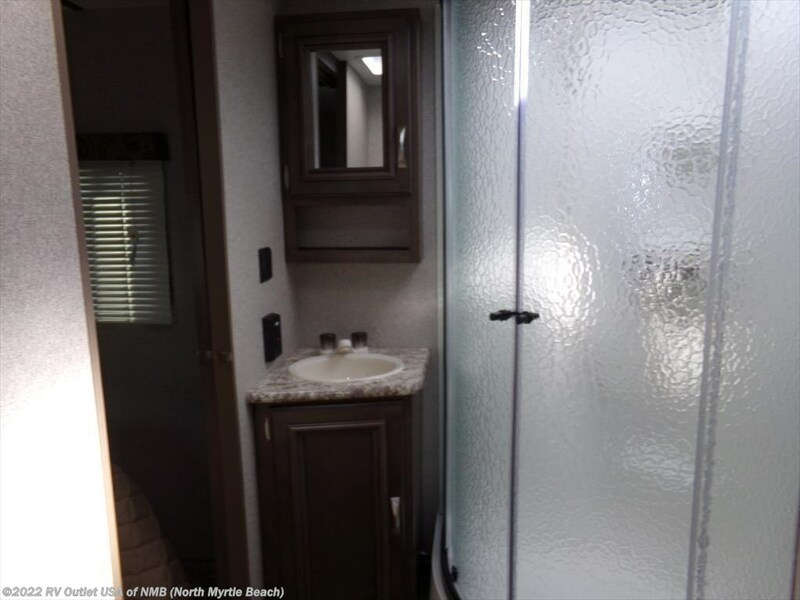 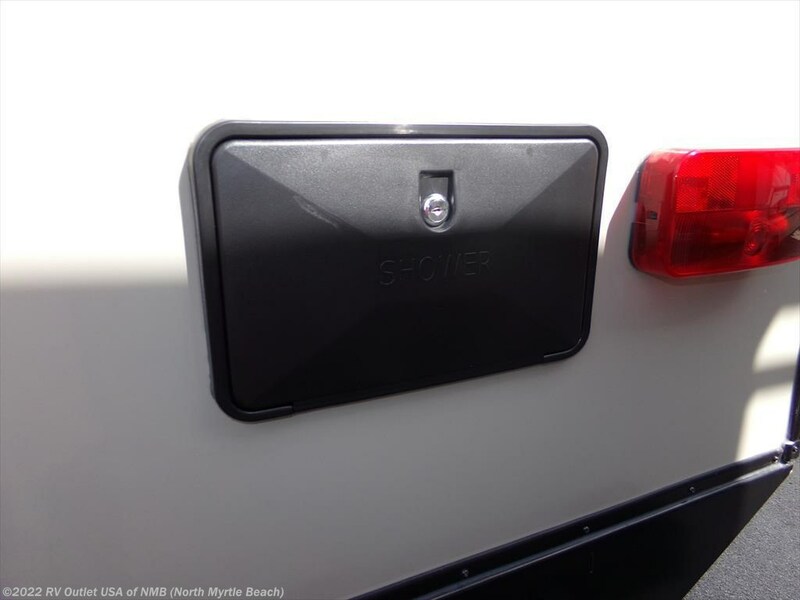 Another nice features on this RV besides all the great interior stuff is the outside kitchen. 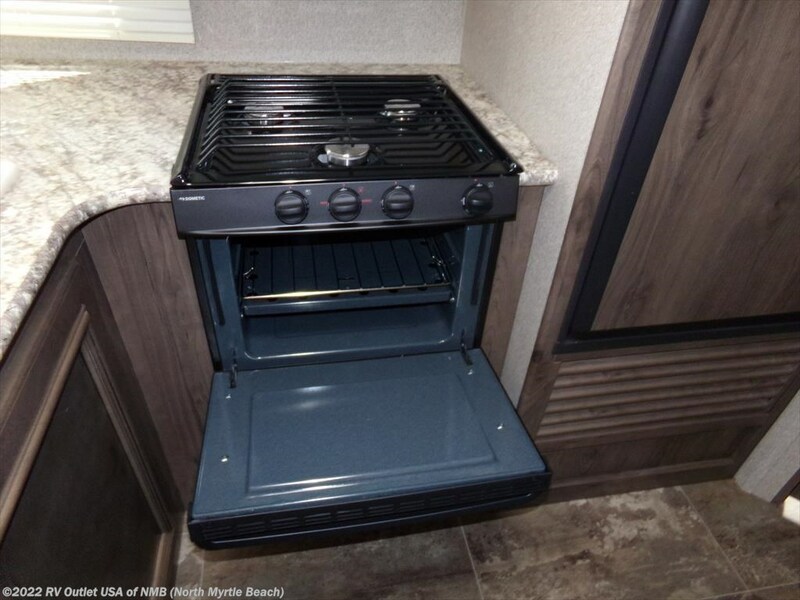 It has a stove and a sink, PLUS a nice outside refer! 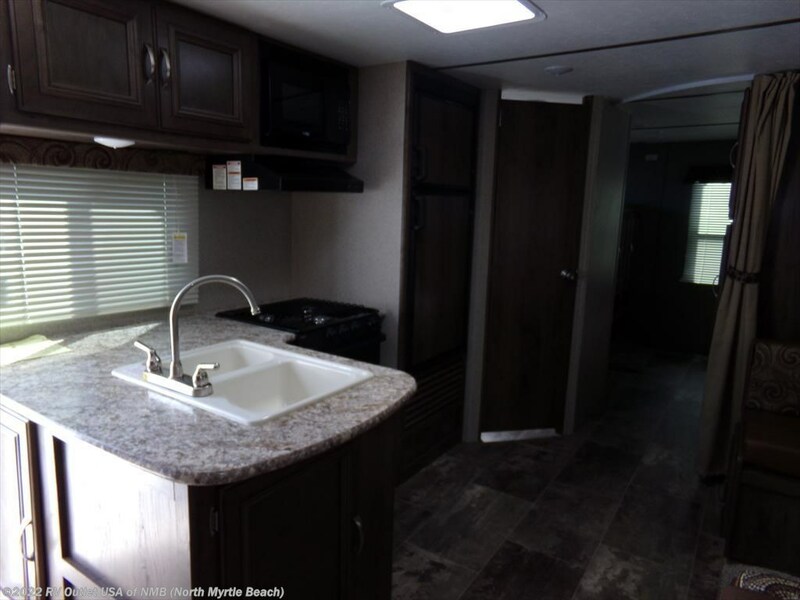 This is a great floor plan with a lot of really nice features for the entire family! 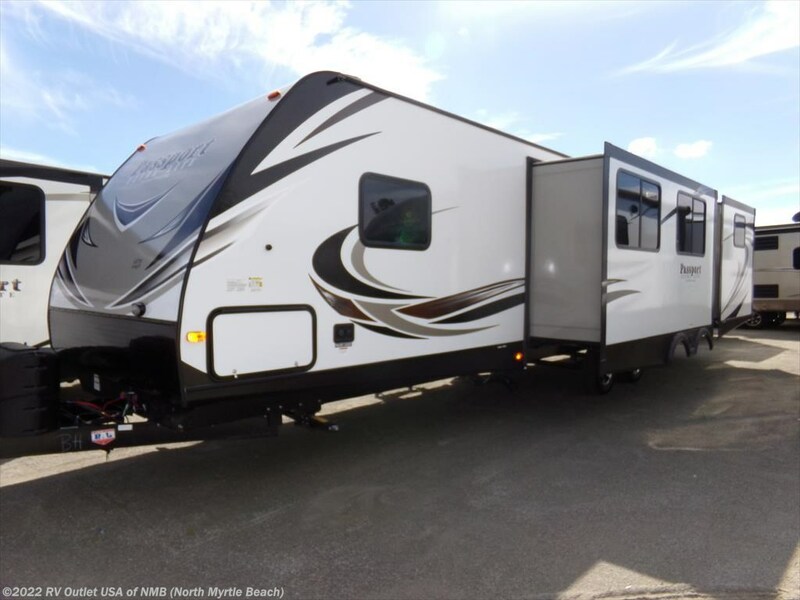 Here's a list of the options we ordered on this 3350BH. 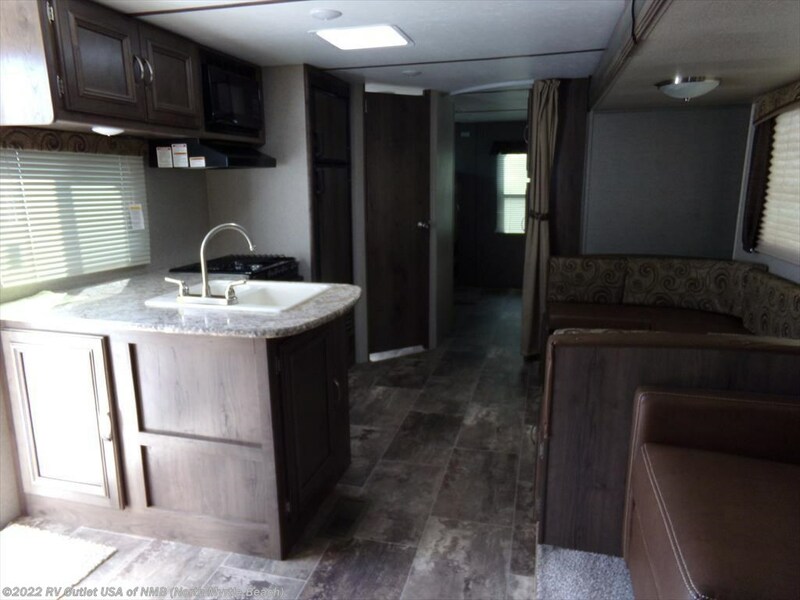 The interior color is Driftwood. 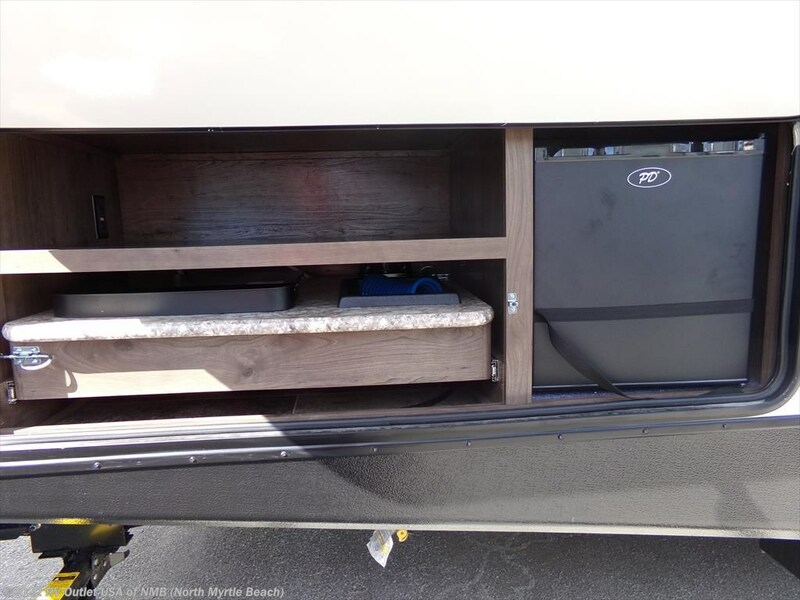 Again, it has a (6) gallon gas/electric DSI hot water heater, the Exterior package which includes tinted safety glass windows, outside speakers, a power awning, the TV antenna, (4) stab jacks, a heated an enclosed underbelly, a spare tire with carrier, a folding entry handle. 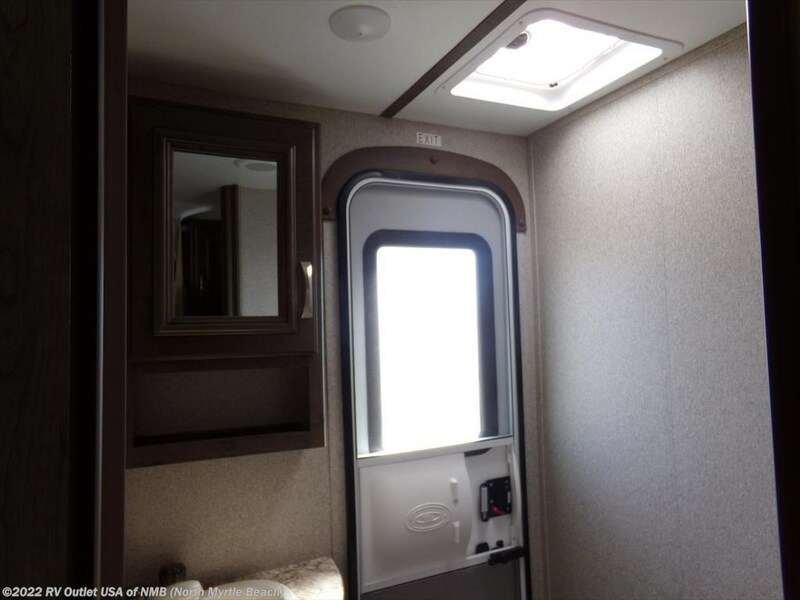 It also has the Interior package which includes the pull down privacy shades, an AM/FM/CD/DVD player, a foot flush toilet, a skylight in the bathroom, a double door refer, an upgraded 15K BTU roof ducted A/C, a microwave oven, a (3) burner stove top with an oven, a ducted furnace, the upgraded HD TV, and the outside camp kitchen!